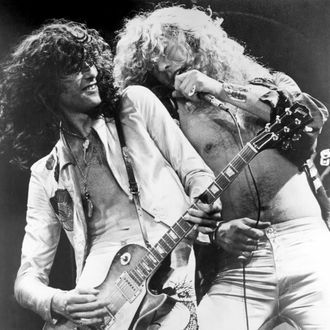 Despite a federal jury unanimously finding Led Zeppelin in the clear for their “Stairway to Heaven” copyright-infringement trial last year, it looks like the case will Ramble On for a little bit longer. Per Rolling Stone, a 90-page brief has been filed by Francis Malofiy — the attorney who represents Michael Skidmore, the trustee of Spirit guitarist Randy California’s estate — which argues it’s “quite clear” that Zepp’s Jimmy Page and Robert Plant relied heavily on Spirit’s song “Taurus” while crafting the intro to “Stairway to Heaven.” (“Taurus” was released in 1969, while “Stairway” came out in 1971.) “The most important of these errors was that the trial court refused to let the jury hear the full and complete composition of ‘Taurus,’ embodied in the sound recordings that Jimmy Page possessed,” Malifiy wrote, “instead limiting the comparison to an outline of the ‘Taurus’ composition in the deposit copy lead sheet.” Malifiy also claims that the reason the jury didn’t rule in his favor initially was due to “evidentiary errors and erroneous instructions” by the original trial judge. The trial’s jury concluded last June that, in spite of both songs sharing similar descending chord progression, they were not “substantially similar” enough to rule in Malifiy’s favor. As a result, he’s requesting a reversal of the previous verdict and a retrial.